So there's been "Late Nights" mixtape, "Late Nights: The Album", and now we get a new "Late Nights" project in 2016. Jeremih has been delivering some great music for some time, and many other artist have been grabbing his talents for their songs. 50 Cent is a big supporter of his sound, and he has undeniable hits, which I still don't think he get enough credit for. 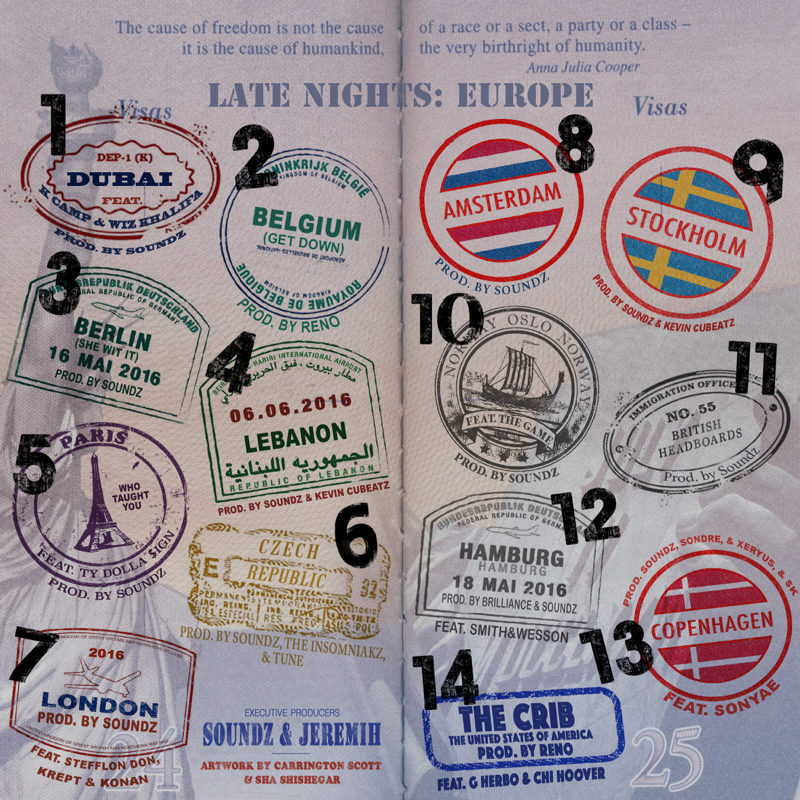 With this new free album, Jeremih takes it international with "Late Nights: Europe". 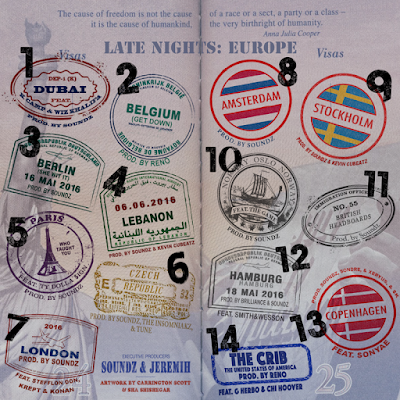 Delivering 13 and multiple style and sound, the singer looks to continue his 'Nights' streak. Getting production from Reno, Soundz, Brilliance and more, he teams up with fellow artist GHerbo, The Game, Ty Dolla $ign, K Camp, Wiz Khalifa, and more. Stream and download below.